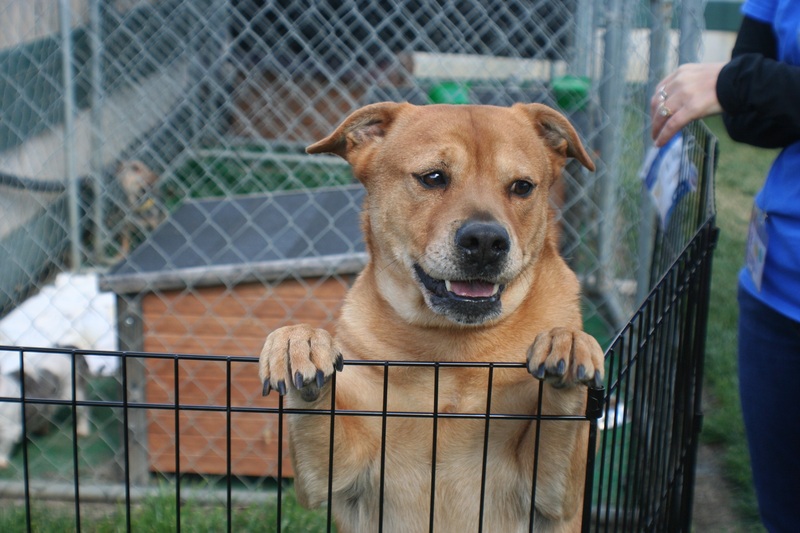 Posted in: Animals, Pets, Rescue. 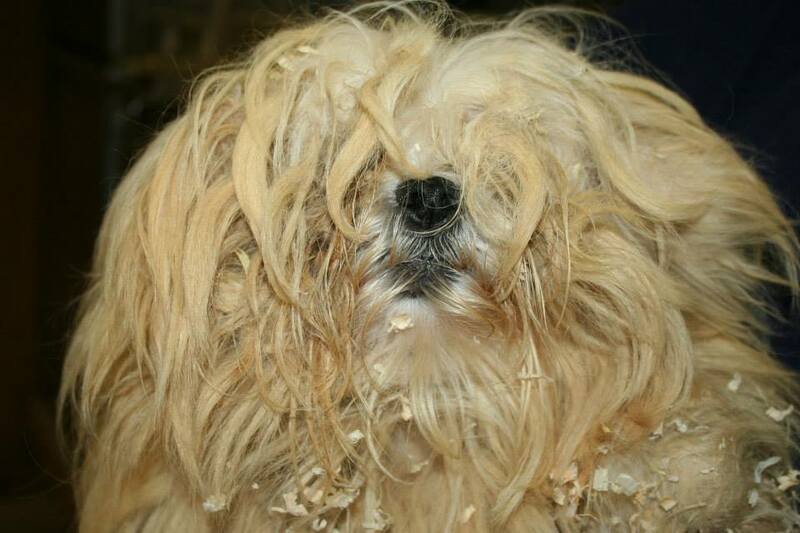 Tagged: adoption, animal shelter, Animal Welfare, breeders, dog, English Bulldog, poodle, rescue, Rescues and Shelters, shih tzu, SPCA of Solano County, yorkie, yorkshire terrier. I have been with the SPCA of Solano County for about 12 years now. We have seen some horrible things come through here. Fortunately not nearly as many as a municipal shelter but bad enough. 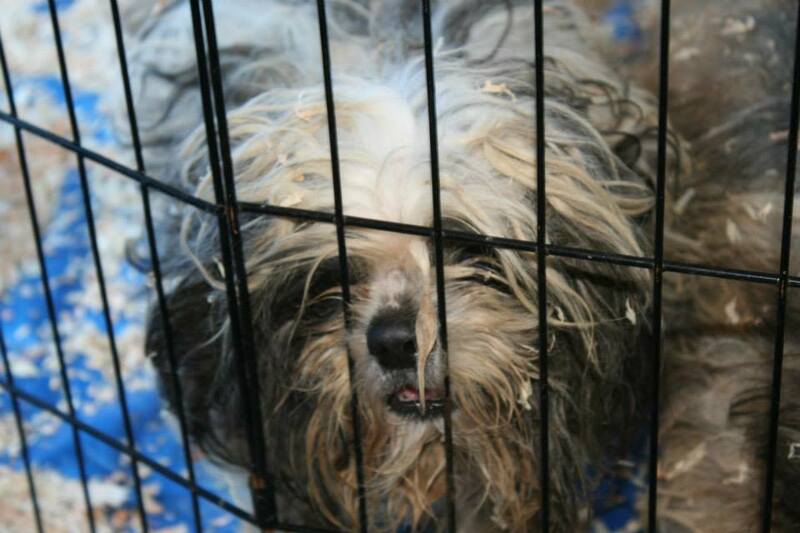 One of the worst was dealing with 110 puppies from a puppy mill/broker in Dixon in 2010. For me this one was worse. Much worse. 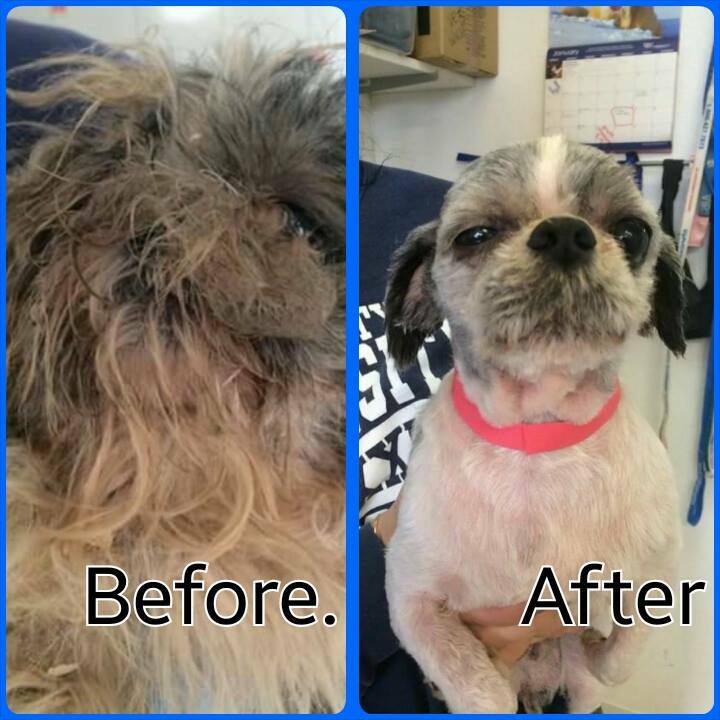 I was approached by a person that we know from the shelter to help a breeder just past Fresno. Her property was being foreclosed on and there was no way the family could take care of the dogs. I was told there was 30 – 40 dogs and we had a couple weeks to work out the details to pick them up. I was also told that she was elderly and the dogs were in rough shape. That was an understatement. The 30 – 40 dogs and two weeks to pick them up changed to 60 or so dogs and a few days, to right at a hundred and we have to get them by tomorrow because the sheriff is coming to lock us out! The reason we were involved at all was because the municipal shelters in the area are over full and with the shape they were in would probably not make is very long. There were too many of them. So what do you do when there are little dogs in need? Well you get a couple people and vehicles and drive down there of course. That is exactly what we did. Me, a co-worker, and one of our board members left Vacaville at 3:30 pm and headed down to Fresno. We arrived after dark at 8:30 pm. I am actually glad it was dark. We weren’t able to actually see the conditions of the dogs and property. She had been a breeder for years. She didn’t broker dogs, she was one of the old time breeders that cared about things like disposition, health, etc. These were nice dogs. The problem was time, age and money. The economy hit everyone hard and some people can’t let go. We actually had some people contact us after the rescue and said that they had gotten dogs from her years ago and that she had a great program and loved the dogs. 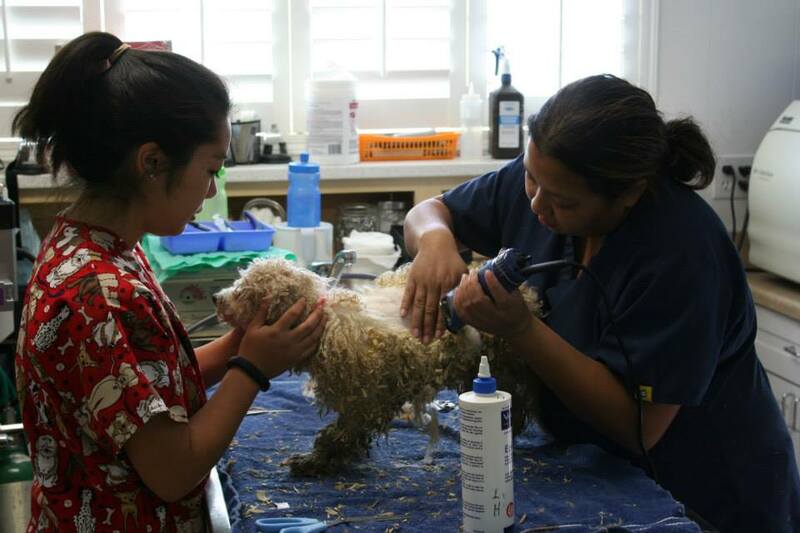 Technician Candace (left) and our head technician Leilani shaving one of our rescue dogs. We got down there at 8:30 pm. I was told there were lights and that they had enough crates for all the dogs. I believed them. Why I decided to believe them I have no idea. Walking through the kennels was overwhelming. It had been raining the week or so before and while the dogs were mostly on concrete runs it was a mess. Mud all over the place and the smell was bad. I was glad it was dark. As far as crates go there were only a few that were actually in good repair and put together. I should have known. Fortunately we did take a few crates and we had one animal control vehicle. We had one of her helpers, family member, we weren’t sure, helping by putting crates together. We loaded as many as we could carry. It was heartbreaking to watch the dogs rolling around in the clean towels that we brought to put in the crates. They were thoroughly enjoying themselves in the clean bedding. The sheriff was supposed to be there in the morning to put a lock on the property so we were basically racing the clock. Putting a dog in the last available spot the decision was made that we had to come back for the rest ( about 50 dogs). We couldn’t leave them there. That meant a drive back, get dogs settled and come right back. Here we go. Dedicated yes. Smart, the jury is still out. Midnight. Back with the first load. We have an amazing staff. They are a bunch of great guys that love animals. You would have to love what you do to work at a shelter. They had set up accommodations for our little muddy guests while we were gone. They had no idea how many were left still waiting. We get back to the shelter a little after midnight. We had a couple of volunteers meet us there to help get them settled. They needed to be vaccinated before we put them in the kennels with the other dogs. They weren’t sick but we wanted to make sure they didn’t catch anything from the dogs we already had. The smell from the dogs was indescribable. The whole process took a couple of hours. Finished up with the dogs at 3:00 am got some food and headed back to Fresno by 4:00 am. We need to be sure we were there before the lock was placed on the property by the sheriff. We took one of the volunteers with us for the second run. With no sleep and a lot of miserable fog in the dark it was an intense drive back. We got back down there about 8:30 am. This time it was light out and we could actually see. I wished it was still dark. It looked like at one time it was a pretty cool place. Palm trees and a cement fountain pond feature type thing. That was a long time ago. We could see the mud and the dogs. There was stuff all over the place. They had lived on the property for 40 years. The dogs were kept in several areas, buildings, kennels, the house, everywhere. For the most part all the dogs were happy to see people and friendly. In all the chaos and stress none of them tried to bite or even offered to growl at us. They just went along with everything that was going on. They were fairly well fed and every kennel had an automatic waterer. There was just too many. I felt like I had walked into a tv commercial. You know the ones I am talking about. Poor dogs with Sarah McLaughlin singing in the background. That is what it felt like. I am pretty good about being able to maintain my composure. I was determined that we were not leaving any of the dogs. I told the lady that was helping to get the dogs loaded that we hadn’t slept and not in the mood for foolishness. We wanted to get them loaded and get them out of there. She took me seriously because loading them was far more efficient than the previous night. They were bringing them out three at a time with at least a little sense of urgency. I was trying to keep my mind on getting the dogs loaded and getting on the road. Lucy Liu at the SPCA of Solano County waiting for her new family to finish up her adoption paperwork and take her home! There always has to be one. The one that manages to get through emotionally. We call her Lucy Liu. We had loaded most of the dogs with the bulldogs being loaded last. We had all the dogs out of the kennels except for the last one. Lucy Liu is a bulldog/shepherd cross and has one of the most expressive eyes I have ever seen in a dog. She was standing with her front feet on the top of the kennel and giving me the look that said PLEASE DON’T LEAVE ME HERE! I lost it. Completely and totally. 24 hours of no sleep, dogs in horrible living conditions and it takes one look from the last dog to reduce me to a useless puddle of tears. I just wanted to get her and go. NOW!! I had hit the breaking point and it was time to leave. Dogs were all loaded and we were on the road. Now the real work begins. 110 dogs to sort out, vaccinate, spay, neuter, vaccinate, clean up after, etc.